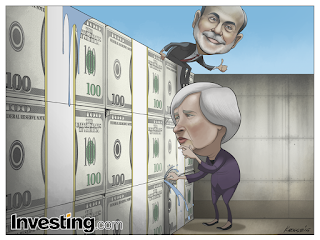 Here are this week's and last week's comics for Investing.com. 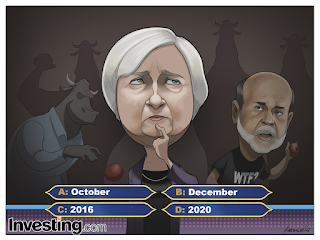 Both are about interest rates. The first was about the decision around raising the rates, the second is about the consequences of that decision. Here's the latest comic for Investing.com. This week's subject is the ongoing refugee crisis and the possible social and economic ramifications of a large influx of refugees into various European countries. 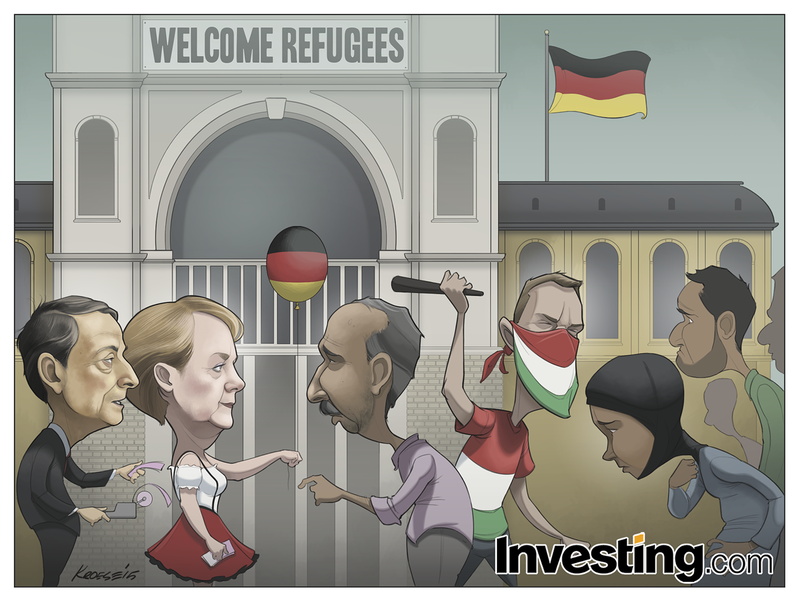 The team at Investing.com asked me to draw a line of refugees being greeted by Angela Merkel and Mario Draghi. 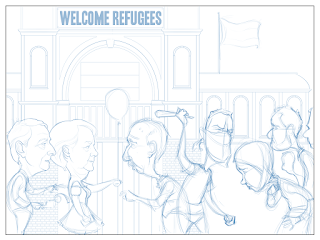 They also asked me to draw a man wearing the Hungarian flag harassing/assaulting the refugees. 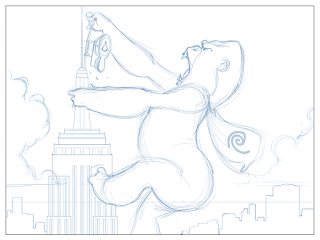 Rough comic this week. Mostly because of the number of characters. Because there were so many, I have mixed feelings about the turnout. The volume of work and the amount of time it took me to complete that work meant I couldn't take as much time to draw each individual character/element. Ideally, I would always have as much time as I needed to work on each character until they met my standards. But this just isn't feasible with a one-day deadline. I did my best with the time I had, and that's as much as I can do. This was an extra comic for Investing.com last week. It's based on a recent fight between a company called NYC Mesh and internet goliath Time Warner Cable. The idea behind NYC Mesh is that high speed internet could be decentralized, eliminating the need for behemoth providers like Time Warner Cable. Time Warner Cable, apparently, is not fond of this idea. 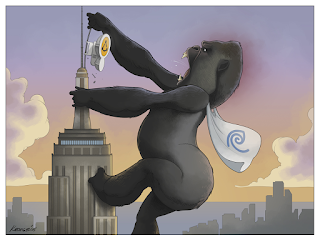 I was asked by the crew at Investing.com to draw a parody of the famous scene in "King Kong" (wherein the movie's namesake is batting at planes from atop a skyscraper). Only in this one, I was asked to draw the gorilla yanking at an NYC Mesh dish and wearing a cape with the Time Warner logo. This comic was SO much fun. 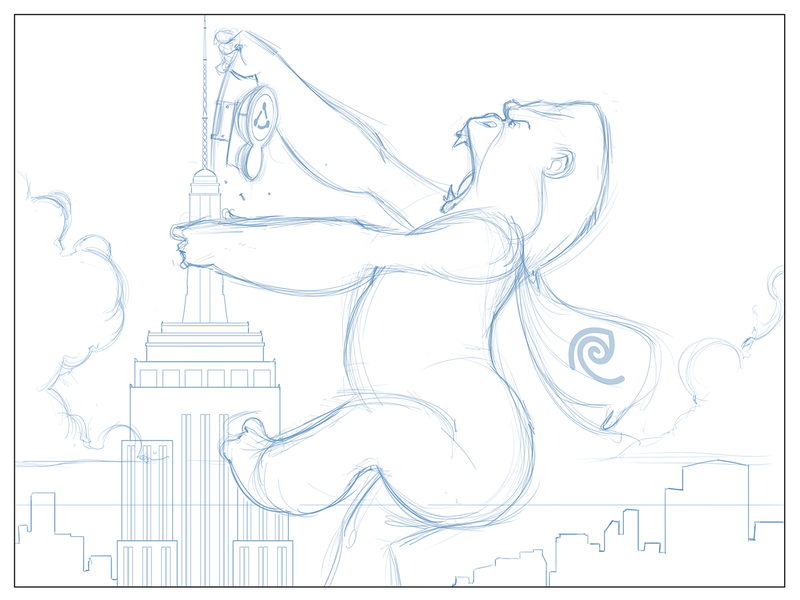 Partially because I don't have the opportunity to draw giant, angry gorillas as often as you might think. I was sorry when I finished this comic. Like a great book or delicious piece of cake, the end came too soon. Here's this week's comic for Investing.com. 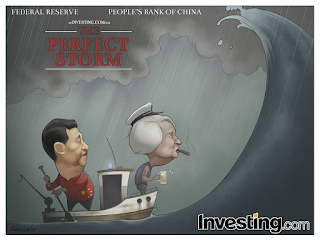 This time around, the subject is a potential looming economic downturn brought on by a number of factors (dropping commodity prices, China's faltering economy, etc.). 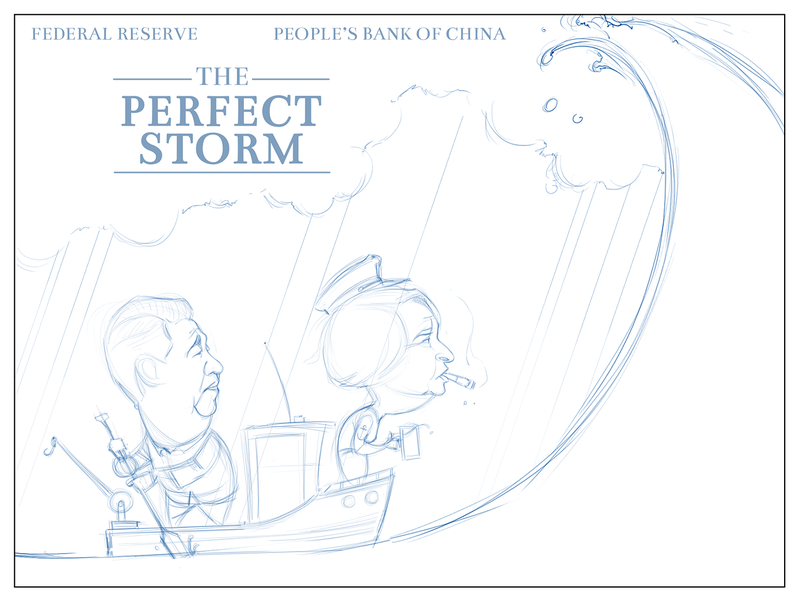 The team at Investing.com asked me to draw a parody of the movie poster for "A Perfect Storm". In this version, Janet Yellen and Xi Jinping were to be in a small, battered fishing boat in stormy weather while a massive wave towers over them. I was also asked to draw Yellen smoking a cigar and holding a beer and to draw her sporting an anchor tattoo. Fun comic this week. It's a little different than typical investing comic, and a little variety is always welcome. 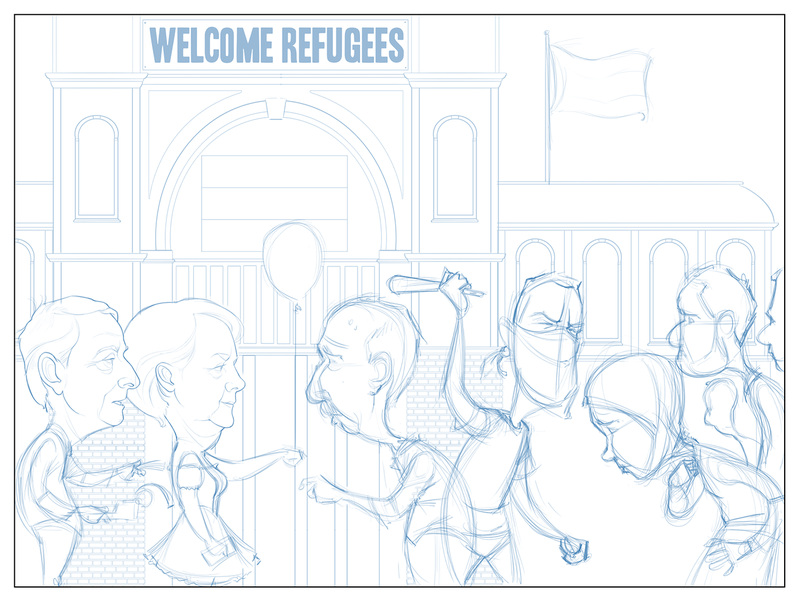 Plus, it was fun to draw and I think it turned out pretty well. Overall, I'd say this week's comic was a win. Salutations and a happy Tuesday to you all. 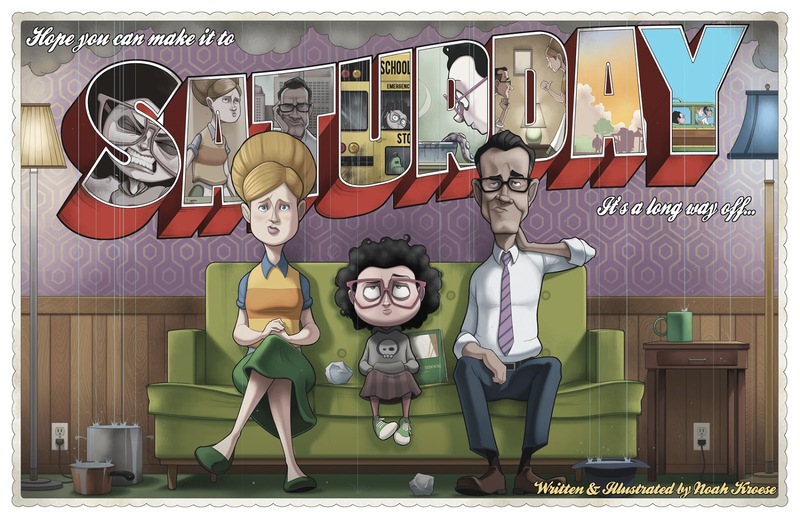 It’s officially September 1st and today’s the day I launch my Kickstarter campaign to help fund the printing of my giant illustrated book, Saturday. Haven’t heard of it? Saturday is a great big book about imagination, creativity, an abysmal week, and family. If that sounds more cheesy than Pizza Hut's Mozzerellapocalypse Pizza, keep in mind that Saturday also involves robots, dinosaurs, aliens, references to "Carrie" and "Bladerunner", Estelle Getty-like old ladies, and some bathroom humor. How could I possibly fit all that into one book? Well, I’ll tell you: almost a decade’s worth of elbow grease did the trick. Saturday also includes my patented “Work-On-A-Thing-Until-You’re-Half-Dead” technology. And now by supporting this campaign, you can finally get your hands on your very own copy. You can also get custom stickers, postcards, posters, and see me look awkward on camera. If you’re a fan of good craftsmanship, elaborate illustration, quirky humor and odd cultural references, this is the book for you. The campaign is fairly short (it ends Sept. 20th) and the number of books and custom rewards I have to offer are limited, so jump on it if’n you’re interested.